Per Seattle / King County Point-In-Time Count, there are a total of 12,112 individuals experiencing homelessness in Seattle/King County on January 26, 2018. 2,683 are individuals in families with children experiencing homelessness in King and Snohomish counties. No state or federal child safety-net program provides support specifically for the purchase of diapers. As rents spike and access to affordable housing becomes increasingly difficult, the number of families with children living in their cars, tent cities, encampments, and shelters is increasing as well. 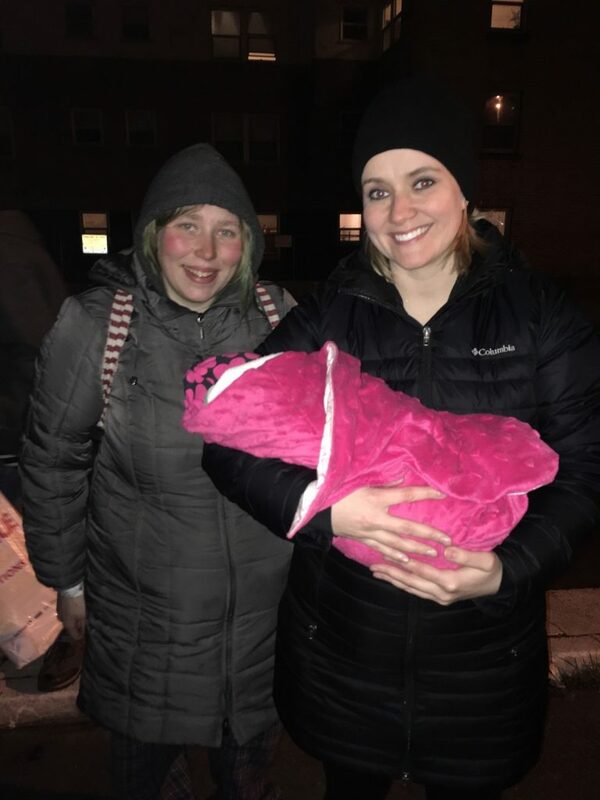 Families in survival mode, are having to decide should they’re paycheck go toward the cost of transportation to get to work, for food to feed their family, for a motel stay or to pay for a month’s worth of diapers to keep their baby clean and happy. How Do We Tackle the Basic Needs Gap? As Seattle tries to tackle the problem of homelessness on nearly every level, we believe in keeping it simple. A simple solution focused on delivering basic necessities can literally change everything. Given the barriers that make it difficult to access the basics— including lack of transportation, capital, cell phone service, and a waitlist and referral process—our ability to be a low barrier and direct service makes us unique. We cut through the bureaucracy within 48 hours and will always prioritize the needs of the child. When families are able to meet the basic needs of their children, they feel a sense of self-worth and are better able to nurture their children emotionally, economically, and socially; more importantly, learning to overcome their situation of homelessness.